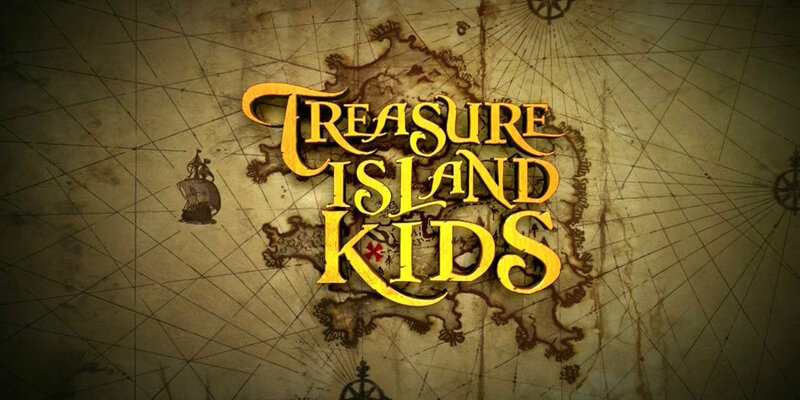 Treasure Island Kids was the overall title for three children’s movies I wrote for Daybreak Films about a group of children at a summer camp on an island in the Pacific which turned out to be the place where the events of Robert Louis Stevenson’s Treasure Island had actually taken place. In The Battle of Treasure Island, the first movie, which I directed, the kids arrive at the ramshackle camp and are not impressed with the facilities or the eccentric old couple running it. 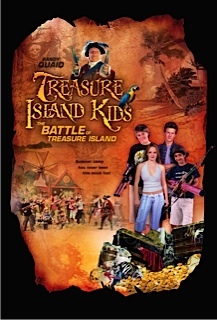 So much so that they want to go home: at which point the descendants of the original Treasure Island pirates (led by Randy Quaid) arrive to close down the camp and dig up the treasure – and the kids begin to fight back. 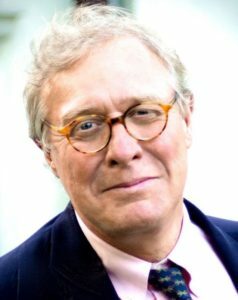 The second film, The Monster of Treasure Island, which was directed by Michael Hurt, was about a Loch Ness style creature living in a lake on the island, and the third, The Mystery of Treasure Island, was about an alien landing. 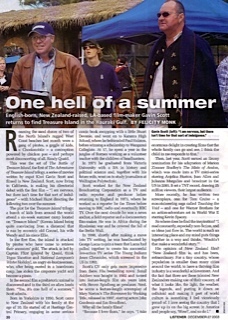 All three films were shot in and around Piha, on the West Coast of New Zealand, not far from Auckland. My two eldest daughters, Laura and Rebecca, both worked on the film, and Rebecca directed all the web-cam sequences.